Greystone College is a private vocational school established in 2002 and is proud to deliver premier quality career and vocational training in a stimulating, cross-cultural environment. We offer vocational training programs in Business, Tourism and Hospitality, Interpreting and Translation, and TESOL, and have a location in Vancouver, Toronto, and New Delhi. Students who train at Greystone College enjoy a supportive, challenging and dynamic learning experience, and leave with career skills that enable them to compete and succeed in the changing global market. 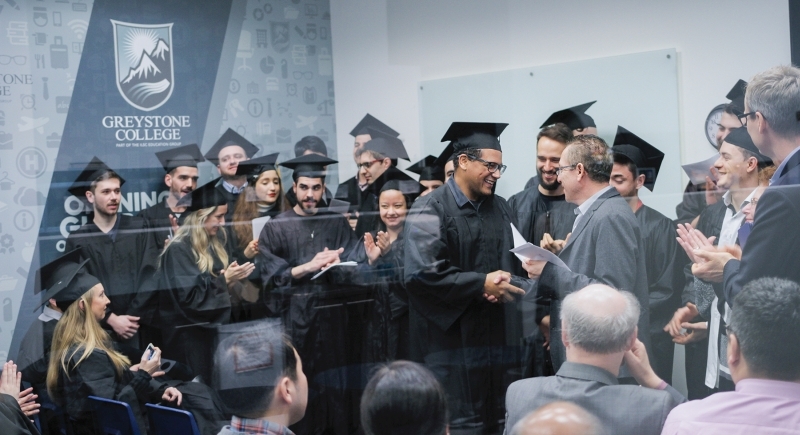 The mission of Greystone College is to offer career-enhancing programs and to deliver premier quality career training in a stimulating environment. Greystone College is part of the ILSC Education Group, which has been offering students quality language learning and vocational training programs since 1991.